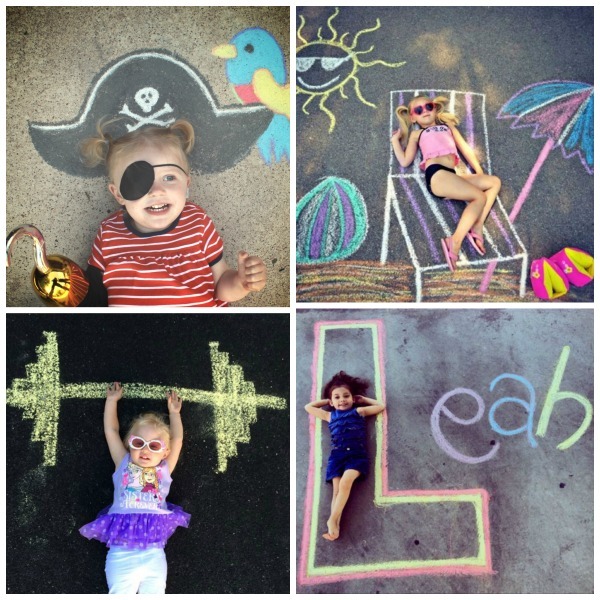 Sidewalk chalk is one of our favorite ways to play during the warmer months. 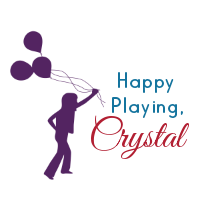 We have found so many fun ways to play with it, too! 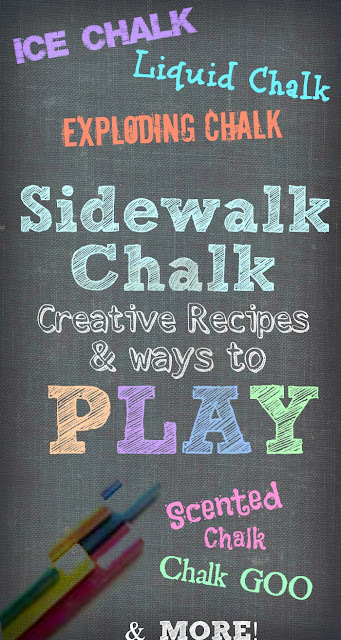 Here are 25 sidewalk chalk recipes & activities that your kids are sure to love! Make your own glow-in-the-dark chalk. Is it hot outside? Whip up a batch of ice chalk. 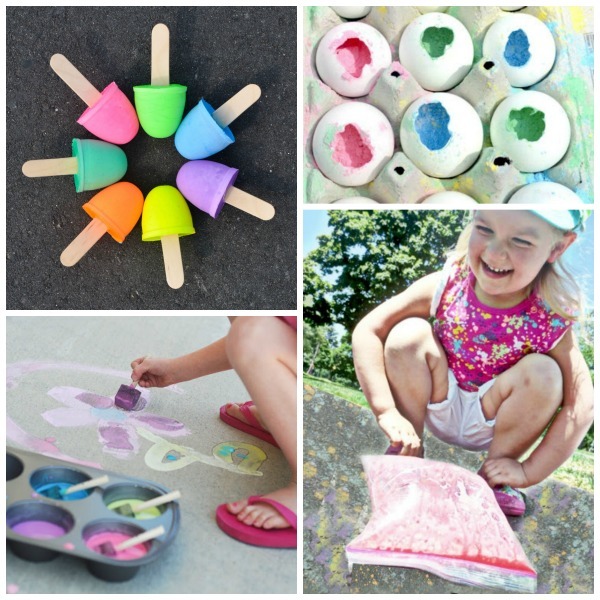 Keep kids hands from getting cold while they play and make chalk popsicles. What could be cooler than glow-in-the-dark chalk? Glowing squirty chalk of course! Let kids make their own chalk. 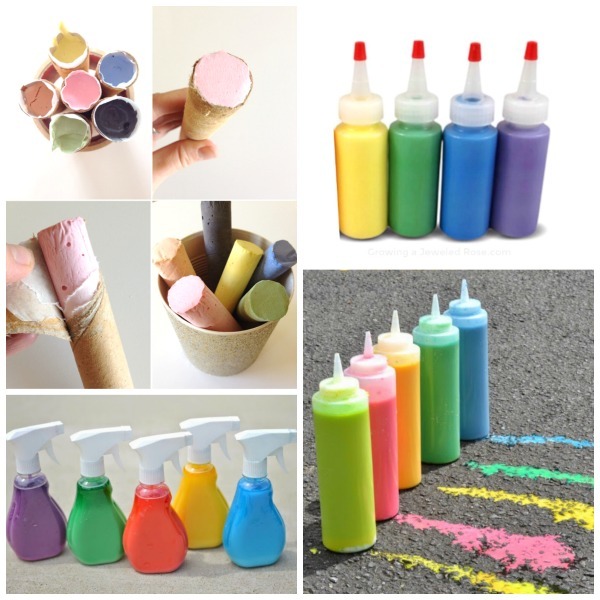 Kids love spray bottles, and you only need three ingredients to make this spray chalk for kids. What's more fun that spray bottles? 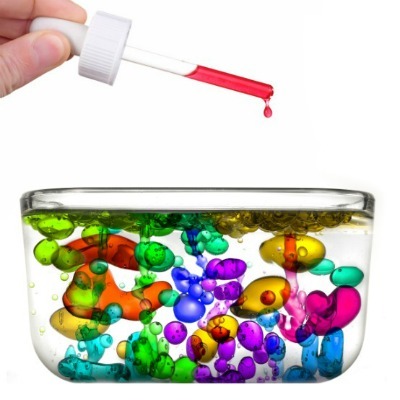 Squirt bottles! My kids played for hours with this easy to make squirty chalk. 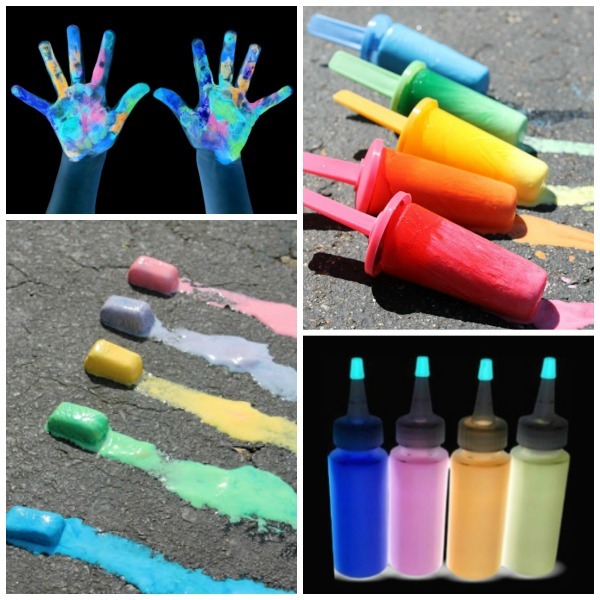 Add a bit of science to their play with this color changing chalk recipe. Give kids brushes and let them paint the town with chalk paint. Take play to a whole new level with this exploding chalk activity. Wow the kids with sidewalk chalk bombs. 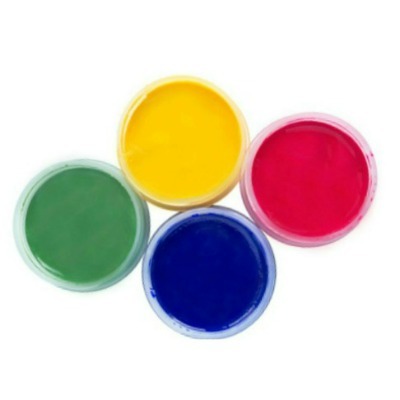 Whip up a batch of this easy to make sidewalk chalk paint. Let kids create 3-D art with foam chalk. 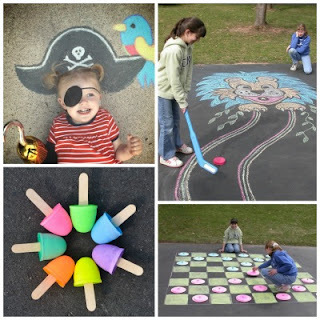 Cool things off on a warm summer's night with glow-in-the-dark ice chalk. Have a blast with chalk rockets! Build a sidewalk chalk town. Create amazing photo ops using sidewalk chalk. Here are 22 awesome ideas! Practice literacy skills with this sidewalk chalk alphabet game. 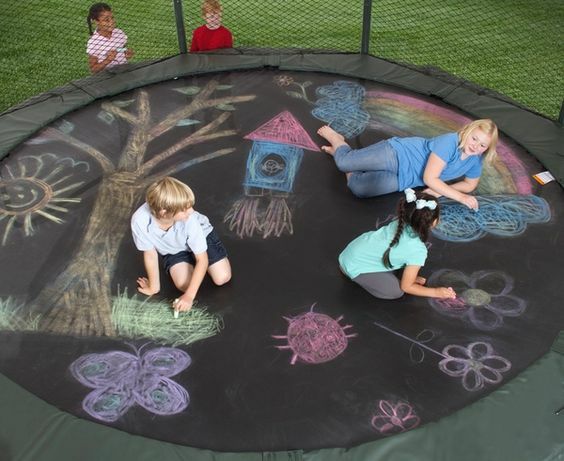 Turn your trampoline into a beautiful work of art with this awesome chalk art idea. 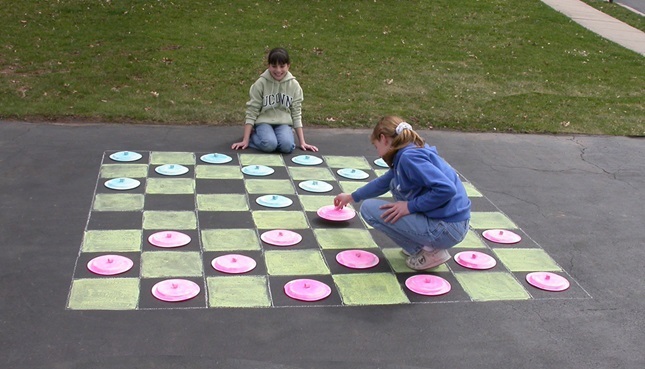 Play sidewalk chalk games. Here are 5 great ideas that we can't wait to try this Summer! 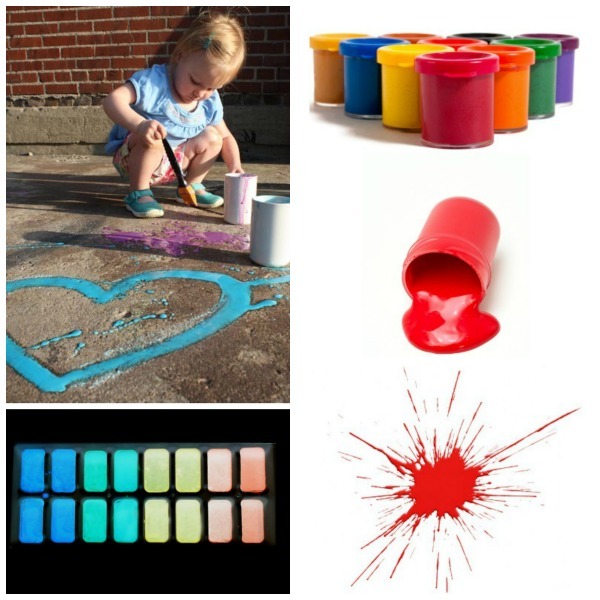 Help kids to learn and review their colors with a game of Sidewalk Simon.